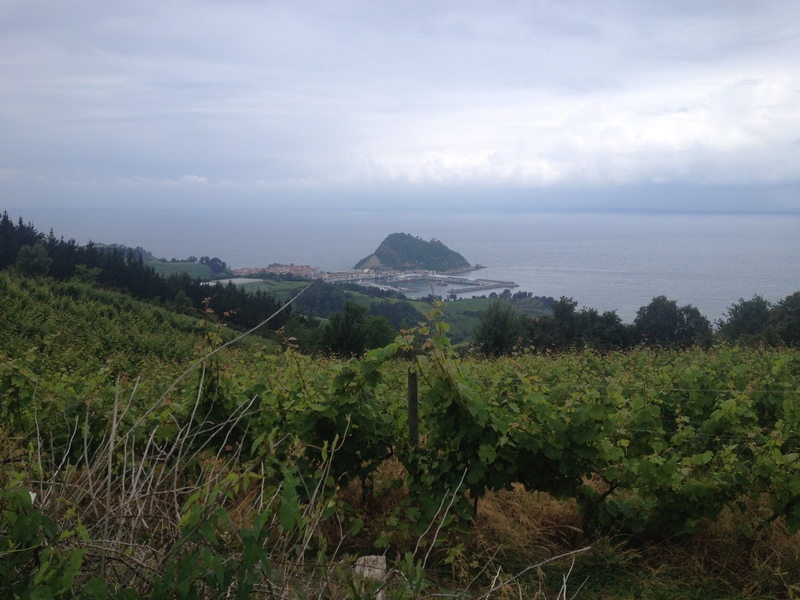 … and were rewarded with an excellent view of Geteria, below. El Kano’s txakoli wine was a very minerally, high acid, low CO2, easy-drinking white wine that we bought quite a few bottles of. The winemaker was a little gruff on the phone, but a joy in person. Wish we had this kind of $10 wine in the US! Which way to the beach? Straight ahead, of course! I’ll leave you to the tripadvisor pages for more pictures of the hotel (and if you look closely enough, I’m sure you’ll find our review when I post it). More importantly, there was a TON of fabulous food in SSB. 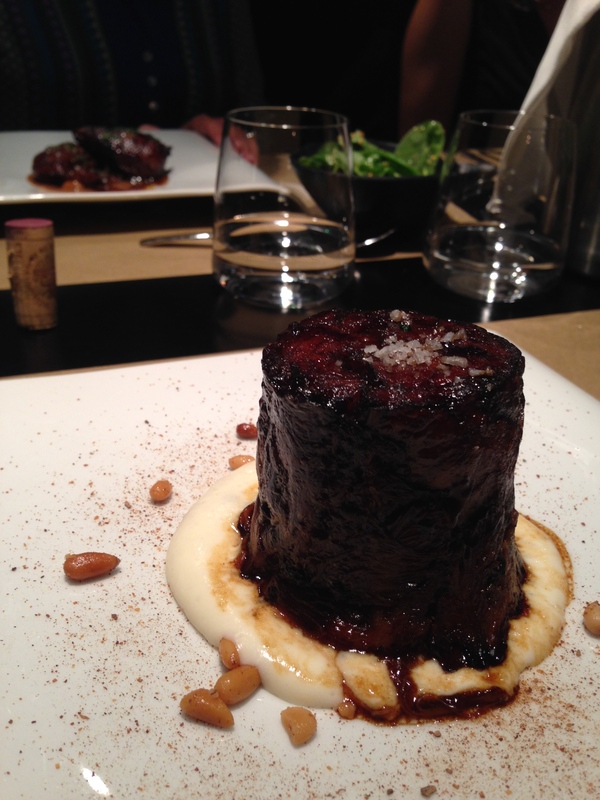 We did not have the bank account to afford Mugaritz, Arzak, etc. Instead, we had to pick-and-choose wisely. And pick-and-choose wisely we did! 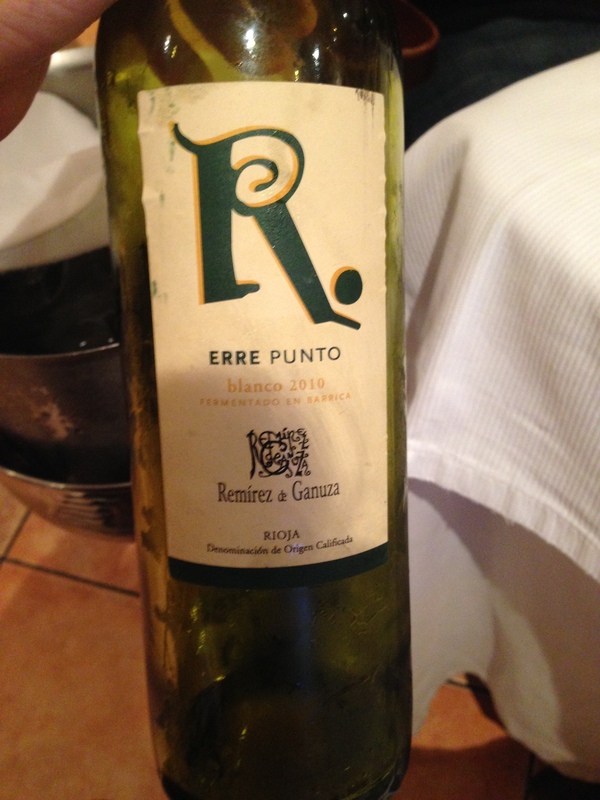 … the list is also good for finding other wines that are just really hard to come by in the US, like this surprisingly super-awesome white from Remirez de Ganuza. The food at Rekondo was no slouch, either. I told everyone the food was going to be just “solid”, but to be honest, I found the food to be exquisitely well-prepared! 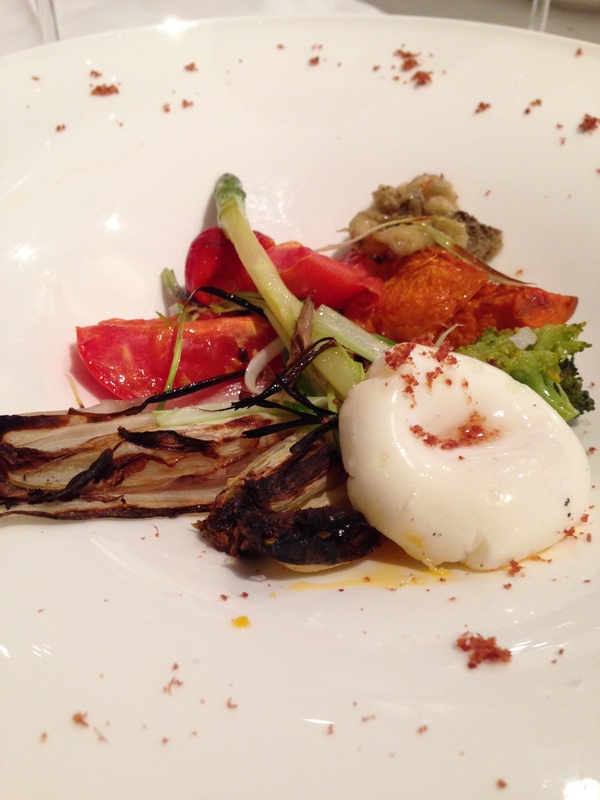 Take this roasted vegetable dish with a soft-boiled egg. Simple as hell, but so scrumptious! 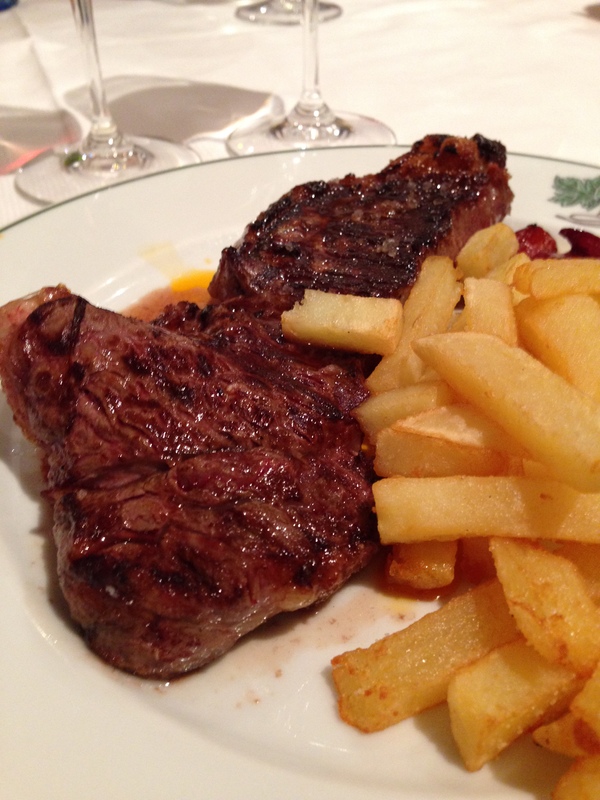 And why not eat an aged Rioja with a steak? It was perfectly grilled – I have absolutely no criticism whatsoever. 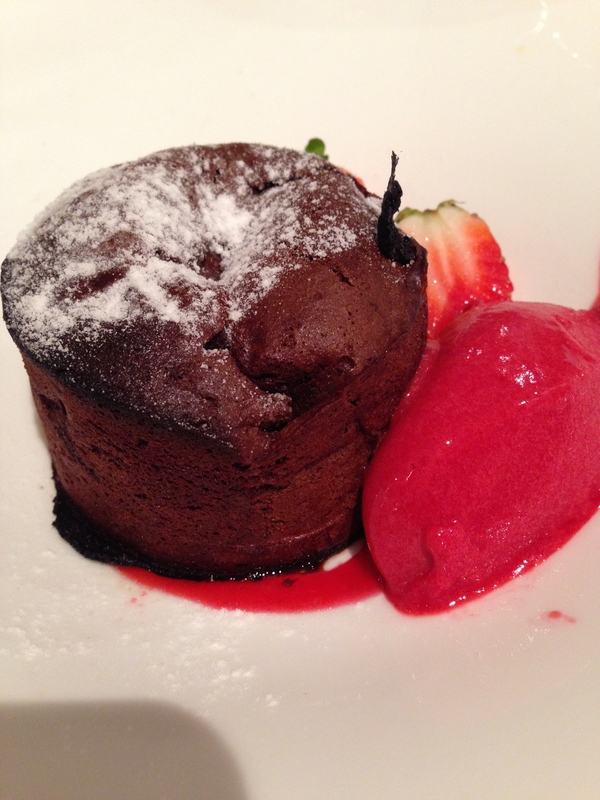 But now you may meat the new best molten cake that have ever had the privilege of passing these lips. A title formerly held by Morton’s Godiva cakes, this one was a little more rustic, offering just a little crispier exterior, but the inside was perfectly oozy and balanced so well with raspberry ?gelato? and that hiding strawberry. I could have eaten three more (and then felt really disgustingly full afterwards). 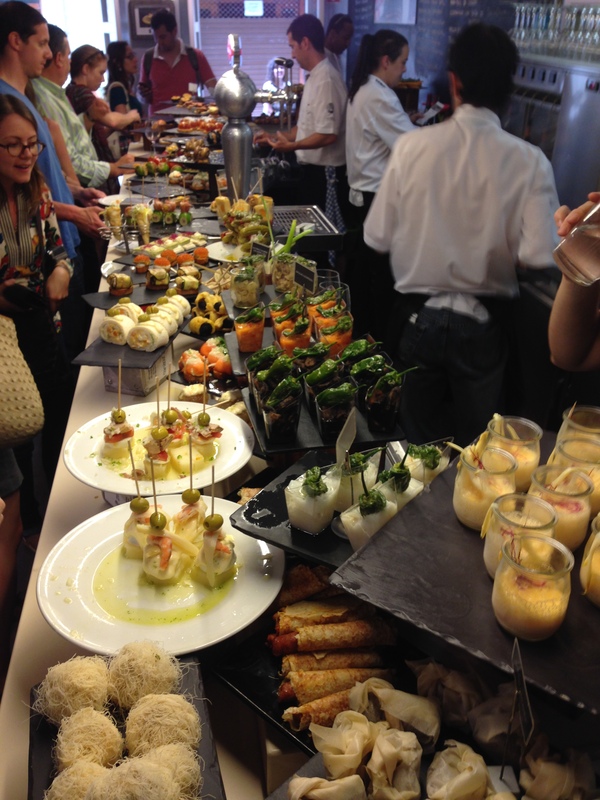 But of course, if you go to SSB, and you’re not going to one of the several-Michelin-starred restaurants, you’re eating pintxos! 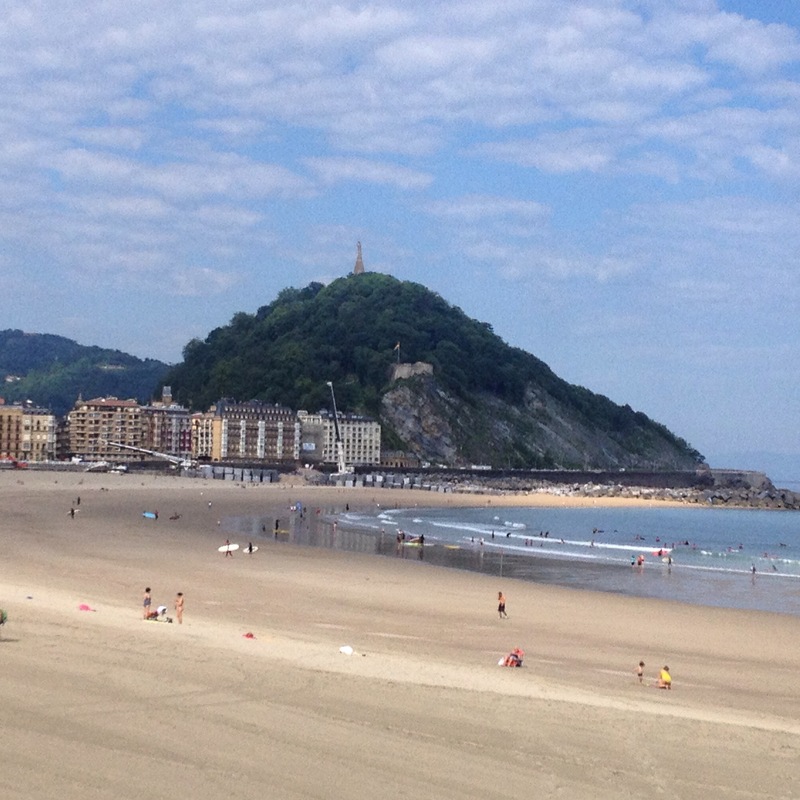 One of the first place we went was Bar Casa Senra, located just two blocks from Zurriola beach! The cold ones (above) and hot ones (not shown) were absolutely fabulous. The perfect finger food to ingest on beach day – nothing too heavy (although there was a mushroom-foie-cream-sauce concoction that was divine), but hefty enough to make you full. 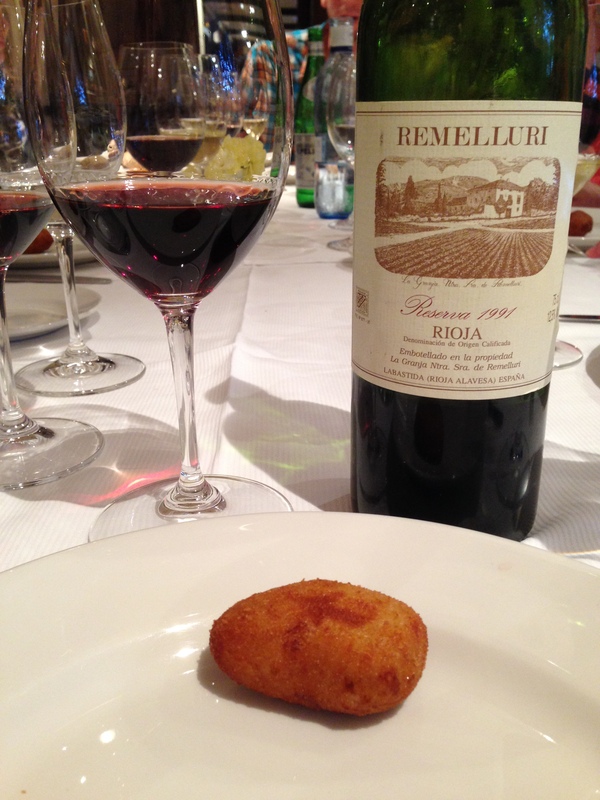 … but then there’s the classic “pintxo crawl” in “Old Town”. 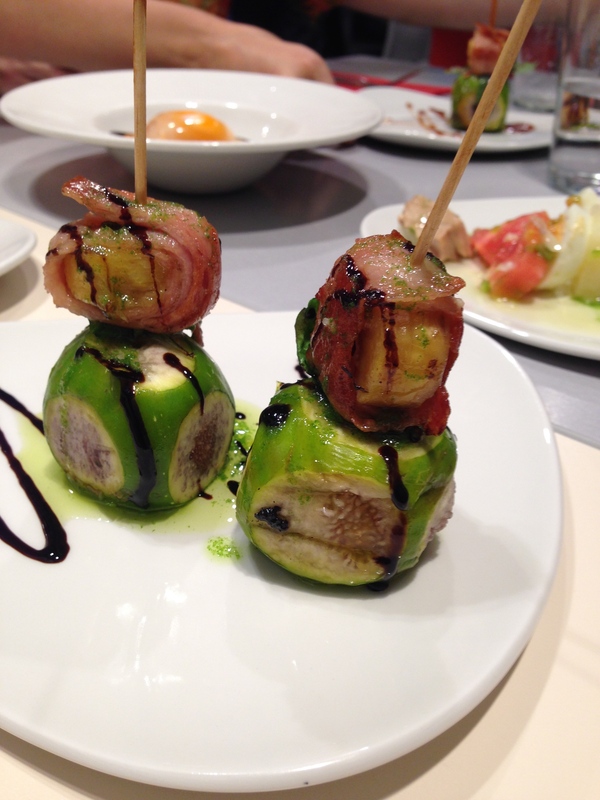 Now, I had read that pintxos were supposed to be a pre-dinner activity, taking place somewhere between 6:30p and 8:30p. 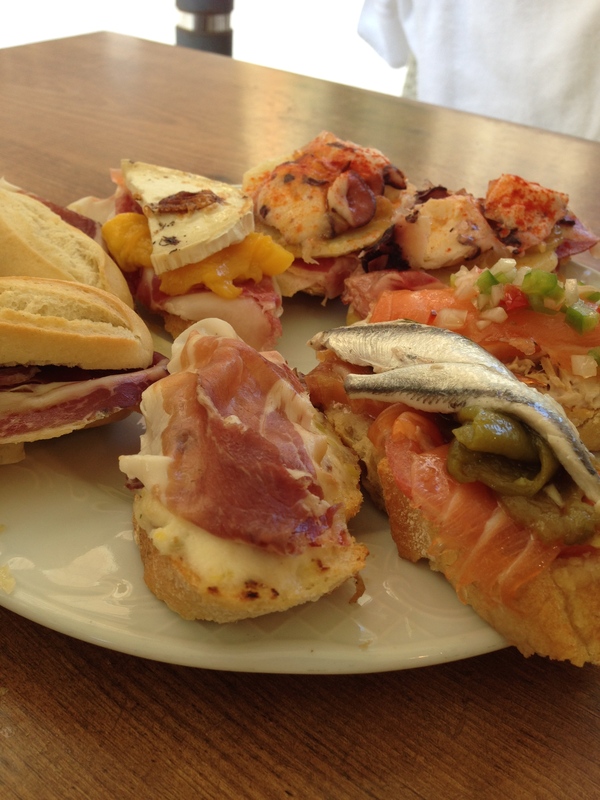 But as it turns out, everyone-and-their-mother is out eating pintxos all night long. a was so kind as to establish for us an official Pintxo Crawl 2014 map, combining online reviews with opinions extracted from real locals. I’d say there was approximately 75% agreement between the two. I should also mention the rules to the crawl: you should not take more than two pintxos per bar, you should eat while standing, and you should drink one drink per spot. Now, being lightweights, g and I broke that last rule immediately. And the first two rules lead to some pretty sub-par photos (even for this blog!). Furthermore, there was so much food that it’d be boring to show you all of it. 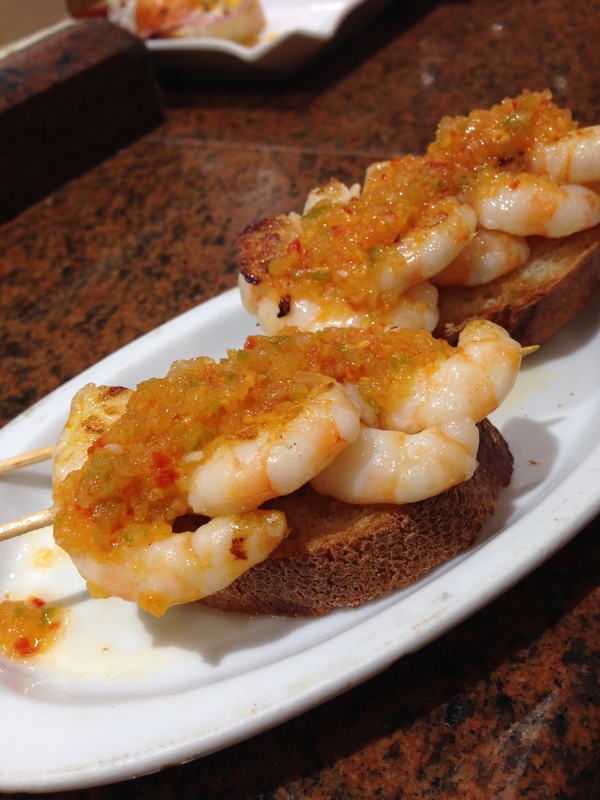 So here’s the first highlight, taken from the first pintxo bar we went to that had pretty much the best shrimp ever. One day, a will remind me what the place was called. Now, the crawl had a ton of deliciosity (super-awesome pork cheeks, jamon everywhere, foie a-flying), but our favorite pintxo place was Bar Zeruko. It’s touristy as hell (Americans everywhere! ), so you might have to throw some elbows to get in. 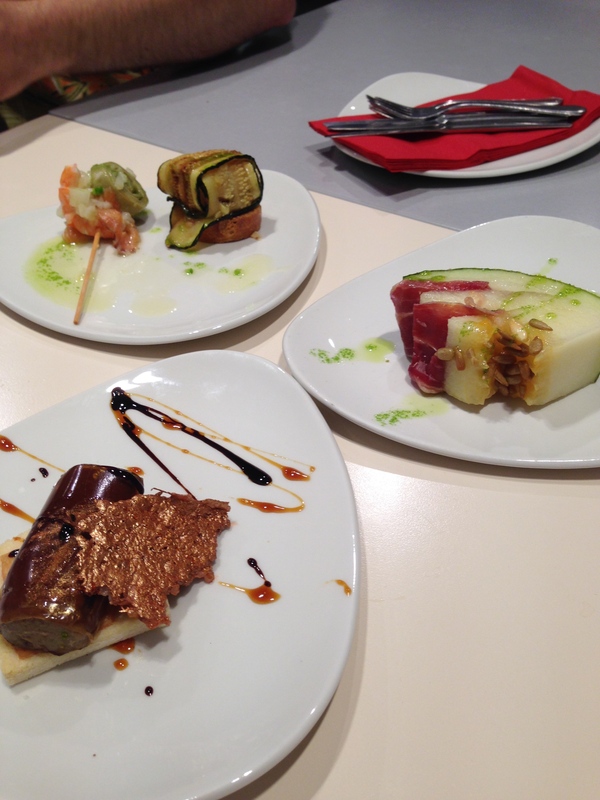 But then you will be rewarded with a counter filled with the most exotic looking pintxos in town. In short, tthere were so many delicious-looking things that we had to go back for more … the next day for lunch! The fun of Bar Zeruko for me is that I had no idea what I was eating! Between not having everything labeled (very few were labeled … meaning SSB would be a nightmare for anyone with any kind of food restriction), and not speaking Spanish, I was essentially judging books by their covers! And it. was. awesome. The above represent about 1/7 of all the dishes we ravaged on that fateful lunch. I can’t tell you what any of them were beyond what you could identify on your own by looking with your own eyes. Also what I loved about Bar Zeruko was that after you choose your pintxos, you give the dish to the lady behind the counter, and then she composes them for you, as some need additional sauce, some need heating, and one (“the bonfire”) needs some kind of plating that incorporates a heating/smoking element and plastic tube of herb gelee. It was kind of like having a choose-your-own tasting menu at a fancy restaurant … except each dish costs ~3 E, and it’s like 17 times more fun than sitting down for 3 hours. In the end, it was unanimous (between g and me – who cares what anyone else thinks?) that Bar Zeruko’s best bite was this one. Caramelized banana, wrapped in ham, and served with fig and some random sauces. It was insane. g and I ate four of them. Yes, we had lots of other dishes that were so so so good, but this one had that “X-factor” – it took some pretty common ingredients and put them together for a result that was at least two orders of magnitude greater than its components. 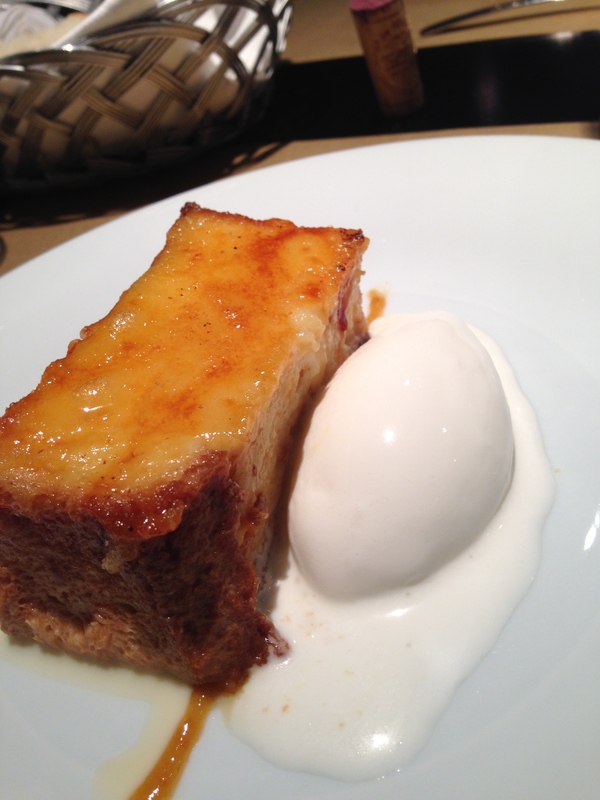 … followed by a heavently French Toast dessert that knocked my socks off. 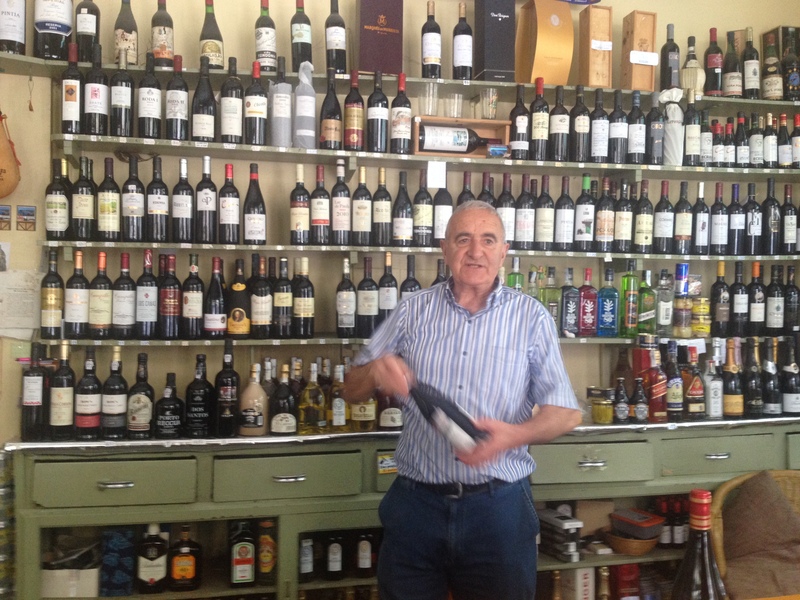 While in SSB, we also visited Vinos Ezeiza, the oldest wine shop in town! The old guy was so cute, not speaking a word of English. It’s ok, g’s crafty use of select words (“mas viejo”) helped me secure a few bottles to be transported home. We’ll see how it works!